Often go to KTV singing friends should have encountered such a situation: turn on the karaoke machine, pick up the Wireless microphone, immediately hear the super shrill creaking sound, and sometimes make an astonishing noise loud noise. Such a voice can not be accepted by anyone's ears. Here to introduce wireless microphone by KTV karaoke machines related issues. Encounter such a situation, some people suspect that there is a problem with the wireless microphone, in fact, not. This is because the current KTV karaoke machine or DVD radiation noise is too high, interfere with the wireless microphone receiver caused the trouble. General wireless microphone receiver at the factory, put the mute control start voltage (SquelchLevel) preset at a lower level to increase the sensitivity and increase the receiving distance, so in use it is susceptible to noise and noise output loud noise. Because the use of wireless microphone even at close range, its emission intensity will change with the user's mobile or environmental changes, whenever the wireless microphone to move a little distance or change some angle, the emission signal strength once low In the noise intensity, noise immediately replace the wireless microphone signal, an instant noise from the receiver output noise. In order to avoid noise interference, the mute control level is raised, so that the noise signal can not start the receiver. However, the sensitivity of the receiver will also become very low, so the use of wireless microphone becomes very short. 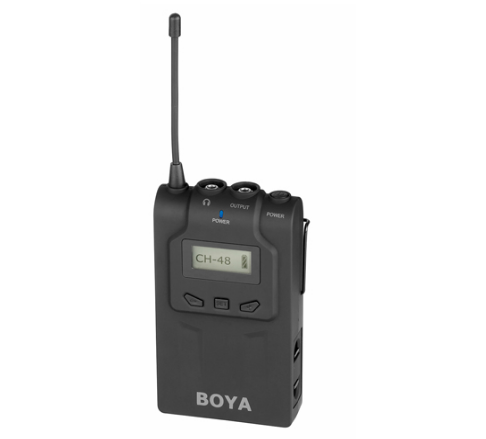 Operators should carefully check the wireless microphone before the performance, connect the system correctly, and set up the antenna reasonably to ensure that the microphone is in normal working state. Pay attention to the following points. So as to avoid wireless microphone noiseless phenomenon during the performance. How Does a Wireless Microphone Work? How to Choose a condenser Microphone for Your video?